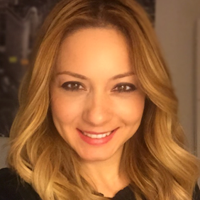 Deniz started her career as an industrial engineer in defence sector and hold various positions as project engineer, management information systems coordinator and manufacturing resource planner for ten years. Later, she joined The Scientific and Technological Research Council of Turkey - TÜBITAK TEYDEB where she involved in developing and monitoring several technology and innovation support programmes as Programme Manager first, then promoted as Deputy Director. She gained in-depth knowledge in the field of Industrial RTDI Grant Programmes during her eleven years in TÜBİTAK. Deniz joined Technology Development Foundation of Turkey - TTGV as Senior Expert in 2006. She had responsibility for various project coordination and management activities including Innovation Based Competitiveness Assessment [ino]rekaR for clusters, on site technology and innovation management audits, TR32 Regional Innovation Strategy Development Project, R&D projects screening system, work package and task management in several EU-funded framework Projects, National Technology Awards Program held by TÜBİTAK, TTGV and TÜSİAD. Doğan joined Massachusetts Institute of Technology (MIT) and Polytechnic Institute of New York University for the PhD program in 1993 after graduating from Eidgenösische Technische Hochschule Zürich (ETH) with a degree in Electrical Engineering and from MIT he received graduate degrees in Electro physics and Technology MBA. Since 2006, as Partner of Arkan&Ergin Corporate Finance, he has been working in telecommunications, renewable energy, and in startup ecosystem as company restructuring advisor in Turkey. He served as jury on 25+ business plan competitions and helped professionally to establish over 100 startups. Focusing especially on Biotech companies and supporting clustering in that field in Izmir and Istanbul. He is the founding President of MIT Enterprise Forum in Turkey and an active member at the Advisory Board of the Endeavor Turkey. He is one of the founding Board members of the Ege University Technopark, Dokuz Eylül University Business Angel Network and Turkish Business Angels Association. Since 2008, Doğan Taşkent has been member of the Board at the Swiss Chamber of Commerce in Turkey, where he had the presidency between 2012-2016. Duygu Oktem received her BSc in Computer Engineering and completed her MSc in Information Systems at Middle East Technical University. She worked for the TUBITAK EU Framework Programs National Coordination Office. She represented Turkey in European ICT Clusters, sustained partner channels between Turkish and European organizations; consulted Turkish universities, SMEs and corporations on R&D strategy and innovation. In 2009 she joined Turk Telekom Group as R&D Manager, responsible for commercialization of R&D projects. She launched and led PILOTT, the startup accelerator program of Turk Telekom. She was awarded with the 2 prestigious awards, and featured in HBR and Forbes Turkey. 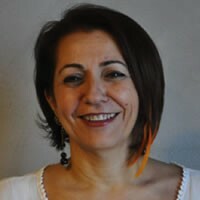 Duygu has been a mentor at many and international startup programs such as at TÜBİTAK, UNIDO Global Clean Tech, Telefonica Wayra Startup Accelerator, Istanbul Technical University Startup Incubator, Startup Bootcamp Istanbul, TurkishWin, Galata Business Angels, ARYA Women’s Investment, and Entrepreneurship Foundation. 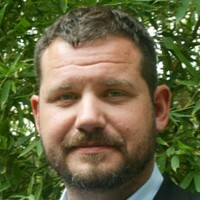 Heath served as Executive Director for Research at the University of Texas at Austin, managing the National Science Foundation SW I-Corps Node, consortia of more than 40 institutions focused on advancing commercial outcomes from fundamental research across sectors. Beside the NSF I-Corps program ,he provided leadership and guidance on Dept of State GIST Initiative program with a focus on entrepreneurship, education, private equity/venture capital and technology transfer. He gained a broad international expertise in conducting technology transfer training in over 14 countries including Jordan, Mexico, Malaysia, Egypt, India and conducted Technology Transfer Ecosystem assessments at a national level in Portugal, Colombia and Korea. During his work with TTOs, he also arranged study tours and reverse internship/staff exchanges for EU TTO staff with US Counterparts at multiple TTO’s, IP Firms and Venture Funding Entities. 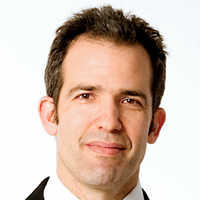 Heath Naquin was recently named Vice President, Strategy Development at VentureWell (formerly the National Collegiate Inventors and Innovators Alliance). He is PI for the US Department of State Global Innovation in Science and Technology program focused on country building efforts in 122 countries.